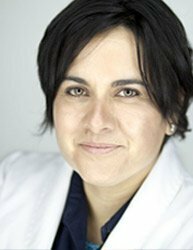 Sandra Leal is Chief Executive Officer at SinfoniaRx, a provider of medication therapy management services nationally. Sandra is working to establish integrated clinical pharmacy services in a variety of settings including a hospital discharge program, integrated behavioral health clinics, accountable care organizations and patient-centered medical homes and is utilizing tele-health and other strategies to scale resources to communities, clinicians, and patients. Her programs are a two-time recipient of the APhA Foundation Pinnacle Award, ASHP Best Practice Award in Health-System Pharmacy and the National Association of Community Health Centers Innovative Research in Primary Care Award. Sandra was recognized as APhA’s Good Government Pharmacist-of-the-Year for her advocacy work on integrating pharmacists into patient care teams and has been elected to serve on the APhA Board of Trustees.